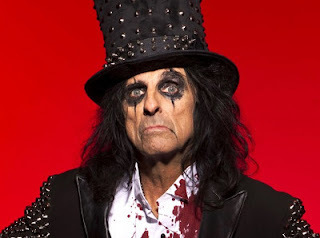 Alice Cooper is revving up the touring machine in support of his upcoming album, Paranormal. The new set will be out on July 28 as part of his new deal with earMUSIC and will be released as a 2-CD Digipak, 2-Vinyl LPs, box set and digital. The 12-track album has been recorded in Nashville with long-time collaborator Bob Ezrin and features a very special bonus CD – a mini-album consisting of three brand new songs written and recorded together with the original Alice Cooper band members Dennis Dunaway, drummer Neal Smith and guitarist Michael Bruce, alongside carefully selected live recordings. Paranormal also features special guest appearances by U2’s Larry Mullen Jr, ZZ Top’s Billy Gibbons and Deep Purple’s Roger Glover. Cooper is in the middle of a world tour that will take him through the middle of December including stops in the U.S., Europe, South America, Australia and New Zealand.